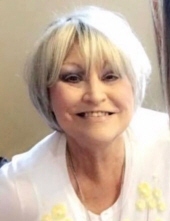 Pamela Ann “Pam” (Mitchell) Dortch, age 67, of Republic, Missouri, entered eternal life through the grace of her Savior, Jesus Christ, on Friday, October 5, 2018 in Cox South Hospital, Springfield, Missouri. She was born on August 5, 1951 in Aurora, Missouri. Pam was married to Charles “C.R.” Dortch and together they had two daughters. She was preceded in death by her father, Herschel Mitchell. Pam is survived by her mother, Betty Mitchell; a brother, Tim Mitchell and his sweetheart Sandra Benskin; two daughters, Amber Loveland and husband Neil, and Emilie McPhail and husband Chris. She is also survived by her pride and joy, granddaughters, Abbey Loveland, Ellie Loveland, and Carly McPhail; and bonus grandchildren, Katie McPhail and Brody McPhail. She leaves behind a host of family and friends. Pam never met a stranger. She would strike up a conversation with anybody at any time about any topic. She had a contagious laugh that filled a room. She loved spending time planting flowers and watching them bloom. Pam was so incredibly proud of all her children and grandchildren. We are sure you have heard the stories, saw the videos and pictures. Pam’s entire world was her family and she was ours. Pam was an amazing chef. Some of the best times as a family centered around a perfectly grilled steak, an over abundant amount of side dishes and a decadent dessert. You could be sure if Pam crafted, cooked or created it . . . it was sure to be perfection. Pam’s lifelong friend, Kim very eloquently said “We don’t get practice runs at burying our parents or children. We take the feelings as they come and try to deal with them forever after. To have painful times in life can be transformative and helpful to somebody else dealing with the same thing is a gift. Love is stronger than death”. In Pam’s honor please be a gift. Strike up a conversation with a stranger. Spend time in your garden. Love your family and friends. Laugh loudly and contagiously. Be kind and smile. To send flowers or a remembrance gift to the family of PAMELA ANN DORTCH, please visit our Tribute Store. "Email Address" would like to share the life celebration of PAMELA ANN DORTCH. Click on the "link" to go to share a favorite memory or leave a condolence message for the family.